The growing importance of biomarkers in precision medicine means that our clinical testing laboratories also need to meet the highest standards of quality and safety. Almac Diagnostic Services’ quality accreditations demonstrate that we meet these standards, providing complete confidence to our clients. CAP (College of American Pathologists). Human Tissue Act UK (HTA License). US State Licenses: New York (CLEP Permit), Florida, California, Pennsylvania and Maryland. Compliant with the principles of GLP, GCP and GCLP. 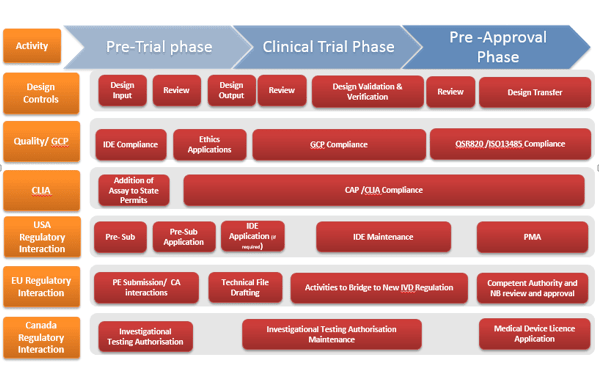 Our regulatory team has significant experience in working with regulatory agencies through our internal diagnostic pipeline as well as with our pharma partners in joint regulatory meetings. We currently manage regulatory plans for companion diagnostic tests in multiple global regions including USA, Canada, Europe, Japan and China. We have the regulatory expertise required to help pharma and biotech clients navigate the regulatory landscape in key global territories. We currently have over 30 regulatory staff in total, of which 10 directly work in Multiplex CDx development.